Mouse anti-human high mobility group protein HMGI-C antibody recognizes high mobility group protein HMGI-C, also known as high mobility group AT-hook protein 2. Mouse anti Human high mobility group protein HMGI-C antibody recognizes high-mobility group protein HMGI-C also known as high mobility group AT-hook 2 and HMGA2. The HMGA2 gene encodes a protein that belongs to the non-histone chromosomal high mobility group (HMG) protein family. HMG proteins function as architectural factors and are essential components of the enhanceosome. This protein contains structural DNA-binding domains and may act as a transcriptional regulating factor. Identification of the deletion, amplification, and rearrangement of HMGA2 that are associated with myxoid liposarcoma suggests a role in adipogenesis and mesenchymal differentiation. A gene knock out study of the mouse counterpart demonstrated that HMGA2 is involved in diet-induced obesity. Alternate transcriptional splice variants, encoding different isoforms, have been characterized (provided by RefSeq, Jul 2008). 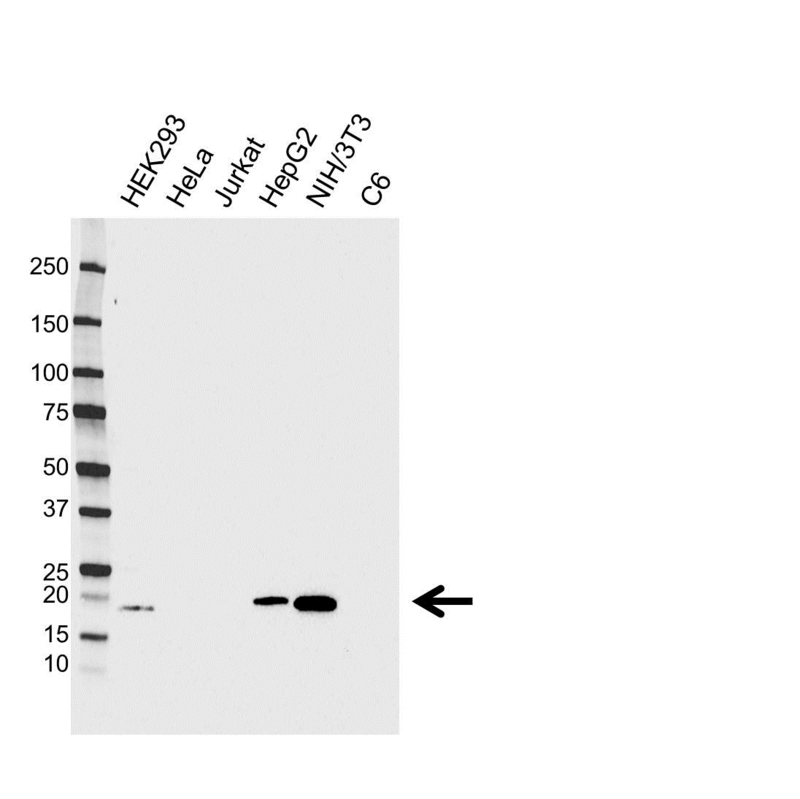 Mouse anti Human high mobility group protein HMGI-C antibody detects a band of 18 kDa. The antibody has been extensively validated for western blotting using whole cell lysates.